Music players don’t necessarily have to be playing audio files from the local storage anymore, the whole concept has changed since the internet and networking technologies evolved into a much better phase. There are plenty of music apps these days that let a user store their audio tracks into a cloud server, and directly stream them from online. There are a lot of music apps that will help you to rearrange music playback in a whole new and much improved way, something users in every end would surely love to experience. 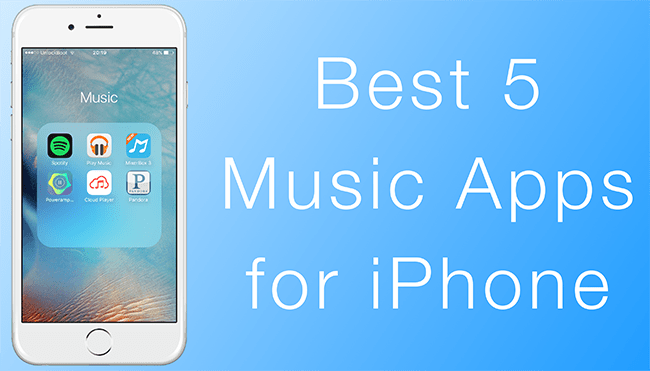 If you had been looking for a different approach towards music, and experience something new – you could try our selection of top 5 music apps for iPhone to download in 2019. 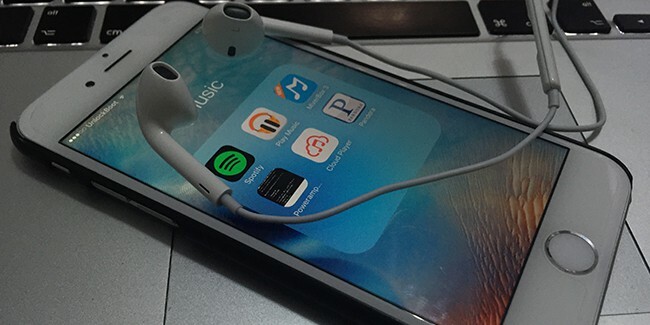 Spotify has been rated the best music app for both iOS and Android platforms – the user reviews prove that without any doubt. Spotify is free on both Android and iOS platforms; only the app download though. Further usage of Spotify would incur costs for music download and transferring them to different accounts. There are certain methods of payment inside the app, which the user could explore once they have the app. The payment is to pay for the artist’s intellectual rights to their property. Overall, the app plays streams music extremely well and for offline playback, the tracks would be downloaded to the handset first. Google Play Music happens to be one of the simplest music streaming and storage apps on the smartphones right now. Currently for the Android ecosystem, but a version for the iOS platform has is available on the iTunes App Store as well, without All Access. Music in the local storage are played without any trouble, and there are live streaming options directly from Google’s online library or user’s own cloud storage. Web player interface is straightforward and helpful to the new users. You can download Google Play Music app for free from App Store. MixerBox has been developed for the music enthusiasts with the iOS operating system installed. It’s basically an API based on third party involvement, yet the experience is much better than everyone would expect. However, an API works different than an app, the user gets to play audio and video files from different sources into one single window. The sources are SoundCloud, YouTube, Vimeo etc. There’s no direct affiliation between this app and those services. You can download MixerBox from this link. PowerAmp is a truly awesome music app for serious music enthusiasts, but there’s a drawback – this app isn’t free. However, the trial license allows for a free 15 days usage and after that, the user would have to pay. Within this trial period the user gets no-restriction full access. PowerAmp App is available and can be downloaded for both Android and iPhone users. CloudPlayer’s iOS version had been released for quite a long time now, and CloudPlayer player’s playback and cloud streaming capabilities have literally made the iPhone users fall in love with this app. There used to be a basic Cloud Music Player which has been replaced by this CloudPlayer, and the approach makes this app a quite desirable one. Conclusion: If music is a serious concern to you, the best music download apps in the list above won’t disappoint you.